The rugged Underbed Storage Boxes are designed for heavy-duty trucks and semis to keep larger, heavy items and tools secure yet easily accessible. 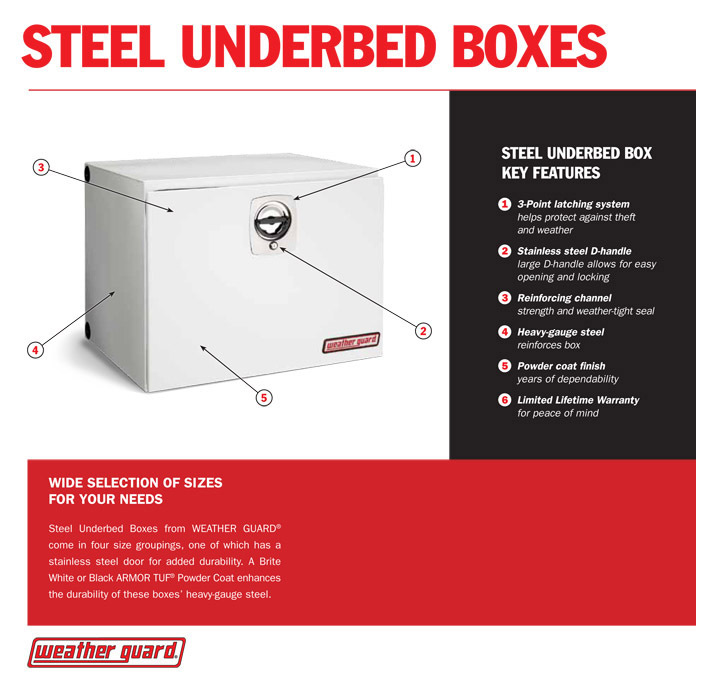 The Model 530-3-02 steel standard Underbed Box features a Brite White ARMOR-TUF® Powder Coat finish that ensures years of dependability and 5.6 cu ft of storage. The 3-point latching system helps protect against theft and weather. Dimensions: H: 18-1/4" W: 18-1/8" L: 30-1/8"
Door Opening: H: 10-1/2" W: 22-1/2"